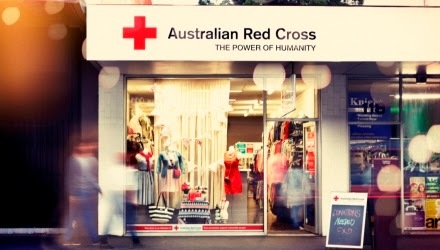 I have been asked to spread the word on the following call out for (re)fashion designers that might like to contribute to The Red Cross 'Recycle Love' Charity Fashion Show to be held at the Australian Red Cross Retail Shop - 191 Bridge Road, Richmond, Victoria, around August or September 2014. Welcome to 'Recycle Love', a fashion show at the Australian Red Cross on Bridge Road. This is a charity fashion event that we hope will bring attraction to our shop and raise funds for the Australian Red Cross. We hope the event will be held around August or September 2014 at the Australian Red Cross Retail Shop - 191 Bridge Road, Richmond Victoria 3121. 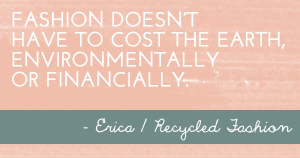 We are looking for fashion designers and artists who can generously volunteer their time and skills to help us create an event about upcycling recycled fashion. This project is for a charitable organisation, so please understand we cannot pay designers but you will be contributing to a worthy cause. You can be a dressmaker, costumier, jewellery designer, milliner, shoemaker, or a bag designer - we would love to hear from you. The idea is to hand-pick preloved items of clothing and accessories (jewellery, shoes, hats, bags etc.) from our shop in Richmond. 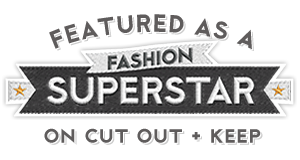 Your objective is to put your love and personal inspiration into them, reconstructing them into creative haute couture quality fashion pieces, which also must be wearable and practical. There should be a balance of creativity and practicality. We want to appeal to everyday people, but wow them, too. Ask yourself, is this something I could wear and pull off? If you are a Melbourne based creative, fashion designer or you sew as a hobby and would like to take part, please leave a comment below with your contact details so that Gina from The Red Cross can get in touch with you. I would love to be part of this. My brother lives in Melbourne - do you reckon I could send him in to choose items and post them up to me then I post back (or use it as an excuse to visit). This sounds wonderful. Wish it were Melbourne, Florida, would love to go!